The cube, supplied with the Starter Pack, is the “system intelligence” and contains all user settings. It communicates with smartphones and tablets thanks to the MyCubodomo app, and interacts with all wireless system elements. The sensor supplied in the Starter Pack replaces the conventional thermostat and controls boiler ignition or opening of zone valves, thanks to its internal relay. Ideal for both radiant and radiator systems, this sensor ensures precise measurement of the effective room temperature and sends data via wireless connection to the cube. These enable temperature control of each radiator fitted with a thermostatic valve. Via wireless communication with the cube, these ensure the option of controlling the temperature in each individual room. Additional sensors (without on-board relay) can be installed in each room for more efficient measurement of room temperatures. These are essential for configuration with the Wiring Center in radiant systems, but can also be used in systems with radiator actuators. The relay actuator manages opening of a zone valve thanks to the internal relay. By replacing all existing thermostats with additional relay actuators, it is possible to control the temperature of each area of the house, both with radiant and radiator heating systems. Combined with electrothermal heads mounted on distribution manifolds, the wiring center manages opening/closure of radiant system circuits. Interacting with the cube and temperature probes, it can adjust temperature in each room. It turns a radiant system from single zone to multizone (up to 8 zones per board). Visit the FAQ section or contact us and we will answer all your questions. I allow to the processing of data entered in the form. 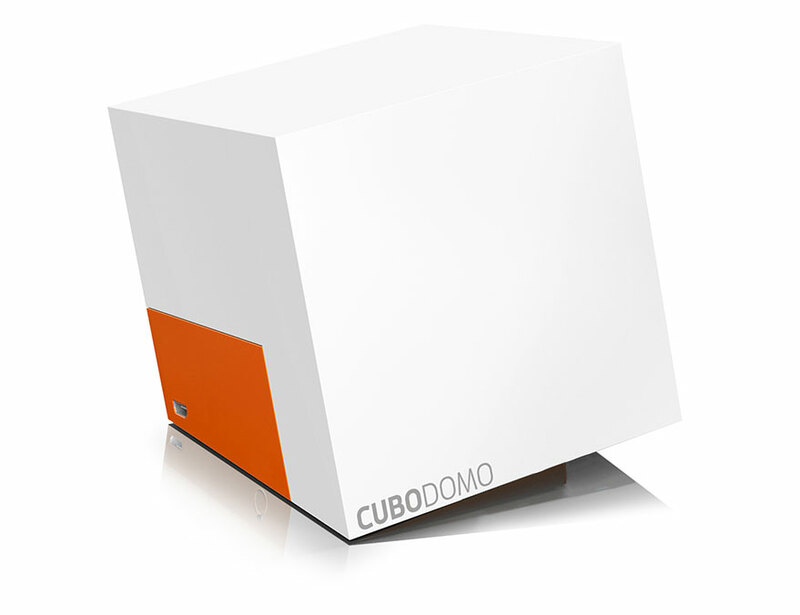 With CUBODOMO you can manage your home temperature wherever you are.